For the third year in a row, ULTRA4 is heading to Oklahoma to race at Cross Bar Ranch! 60+ drivers are expected to participate in the third annual event, which will be the second race of the 2019 4WP Eastern Series. Cross Bar Ranch features more than 6500 acres and is located in the Arbuckle Mountains -- an easy drive from both Oklahoma City,OK and Dallas, TX. 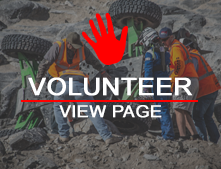 This family-friendly spectator event serves as a qualifying race for the 2020 King of the Hammers off-road race and festival in Johnson Valley, CA. There will be a centralized area with an obstacle short course, vendor booths and grass hillside seating where you can watch the race. After having such a great time at Cross Bar Ranch for the last couple years, ULTRA4 is heading to Oklahoma once again to race at Cross Bar Ranch! Stay tuned for the offical schedule!